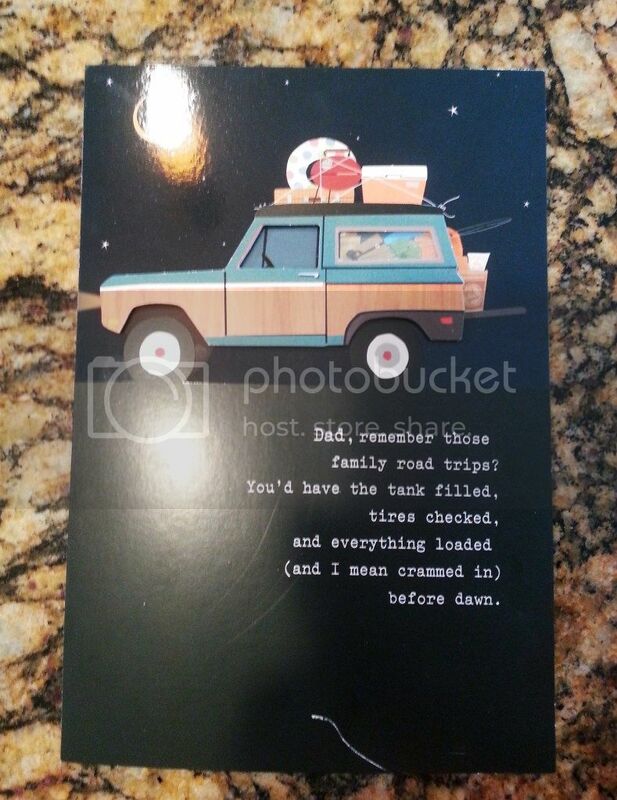 My Dad's 65th Bday is coming up Sunday so I bought him the best card I could from Hallmark. It has a early bronco on the front. I'm not able to put pics up here or I would show it. Dad own's 2 cherokee's and a cj, so we go back and forth on my eb and his heeps. Has anyone else seen a birthday or other type card with an eb on it? I've started... all I like is finishing! The wife and I saw that same card a few weeks ago in our local Walgreens. Thought it was cool so I took a pic. Good job man, I'm sure he'll luv it.. He got a good laugh at it. It's the same one as on the other thread, thanks for putting that in there thegreatjustino! She said there were more on the shelf. If anyone wants one let me know and Ill stop back by. I told her anytime she finds anything Classic Bronco, buy the lot!